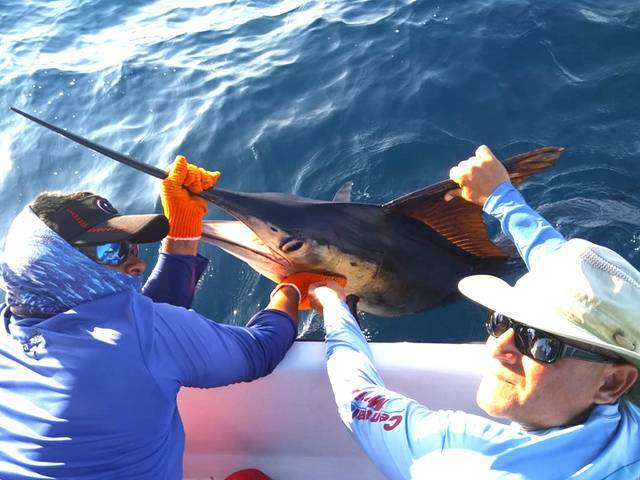 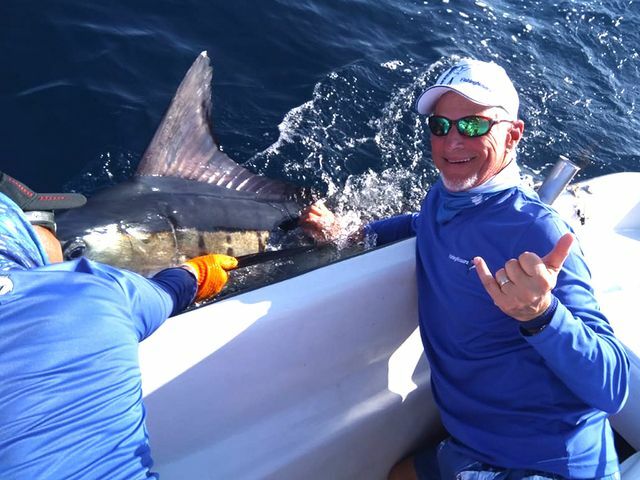 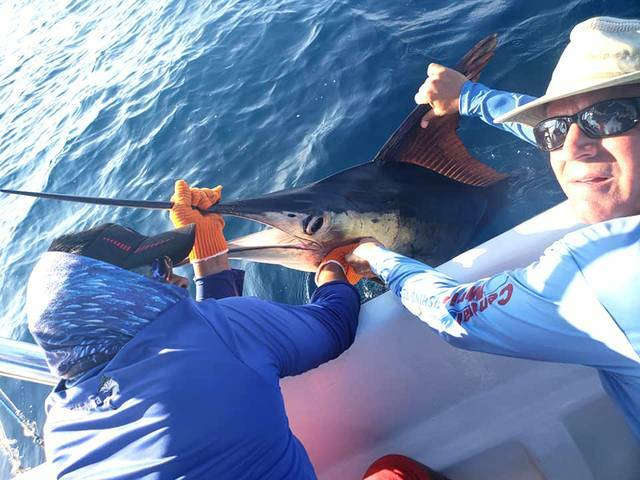 While most of Bill Harris’ group was on board the Discoverer, Mr. Harris himself took to the 28-foot barroom brawler Explorer and opened up her season with a BILLFISH GRAND SLAM! 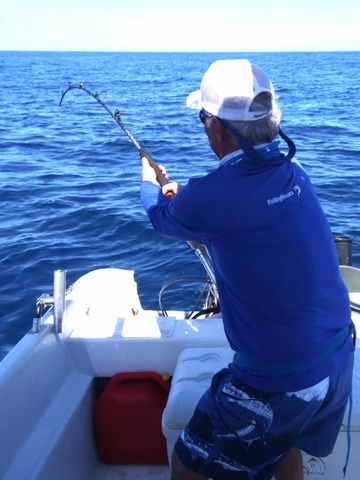 This Blue Marlin was the highlight of the morning, and was followed by a late-day Striped Marlin. 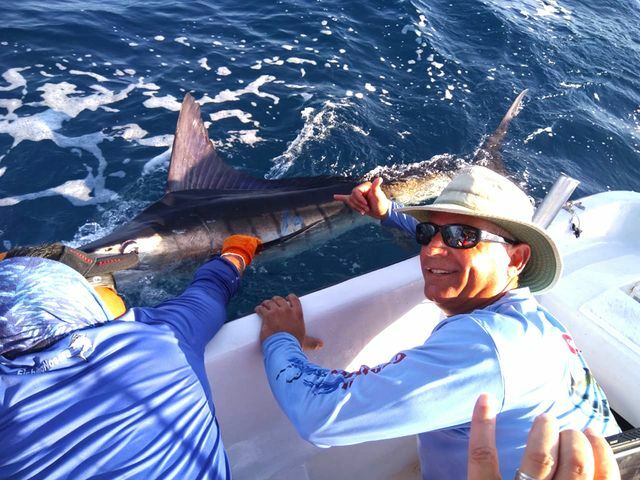 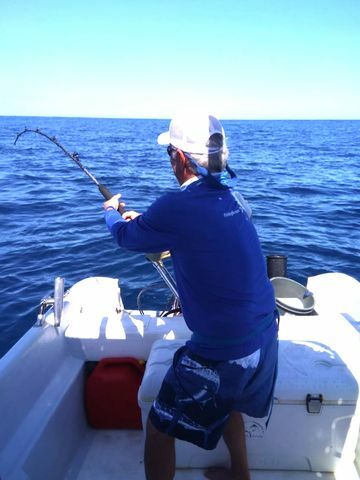 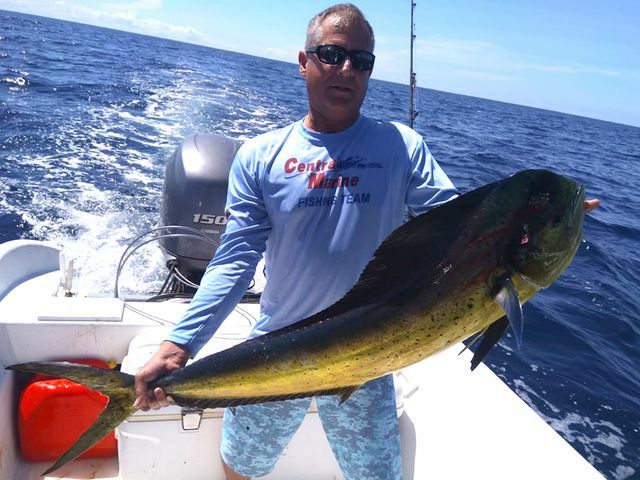 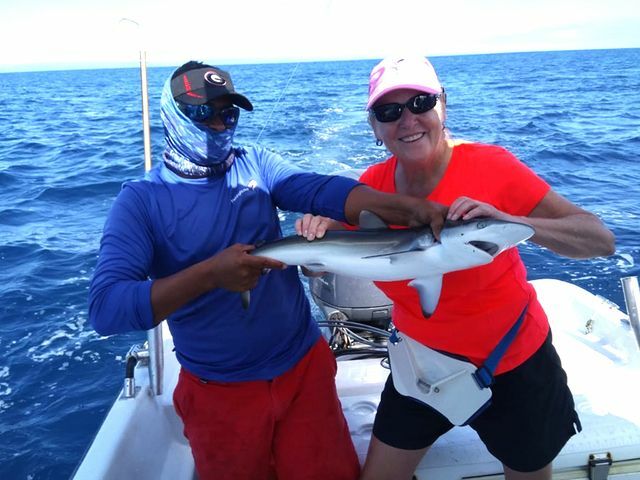 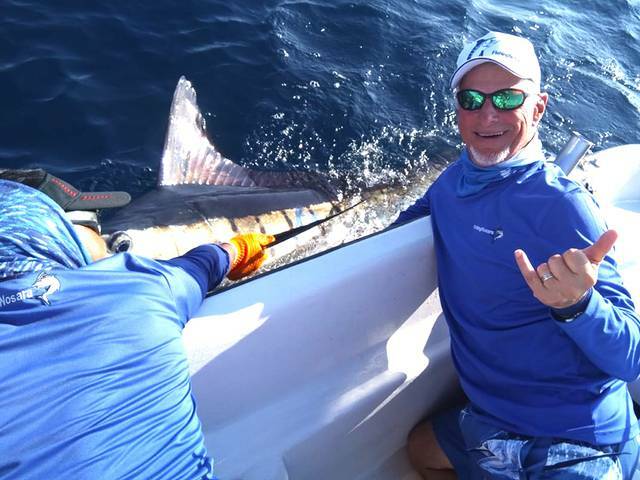 Bill nabbed the first Marlin, and Mark Scott scored the second. 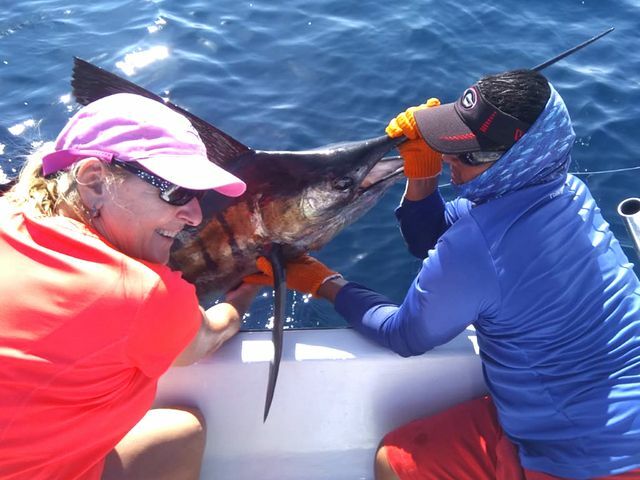 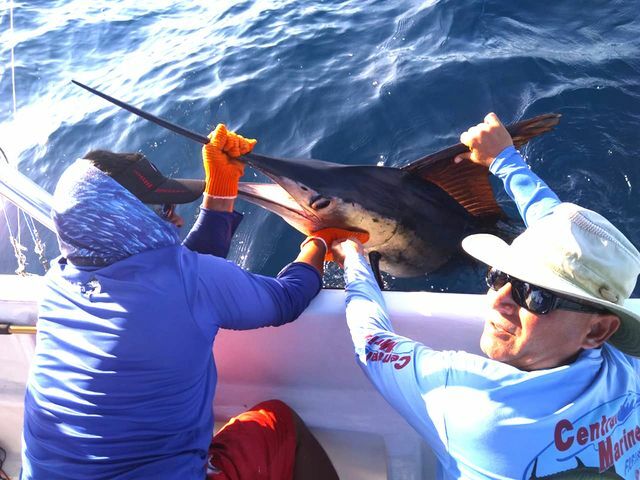 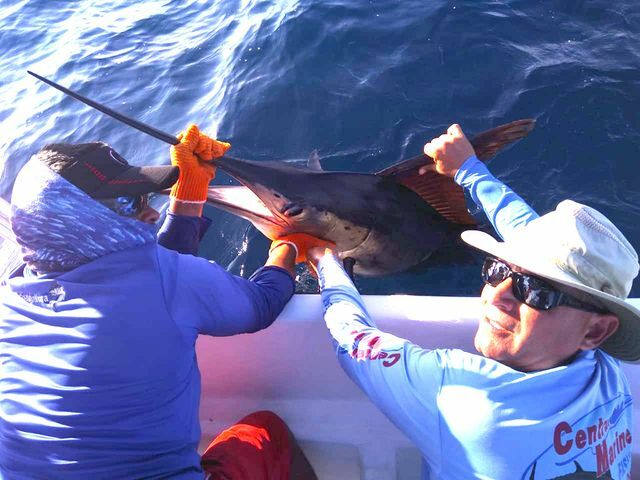 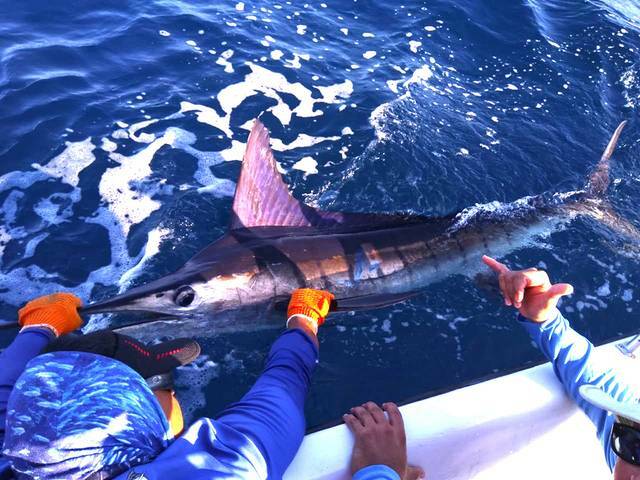 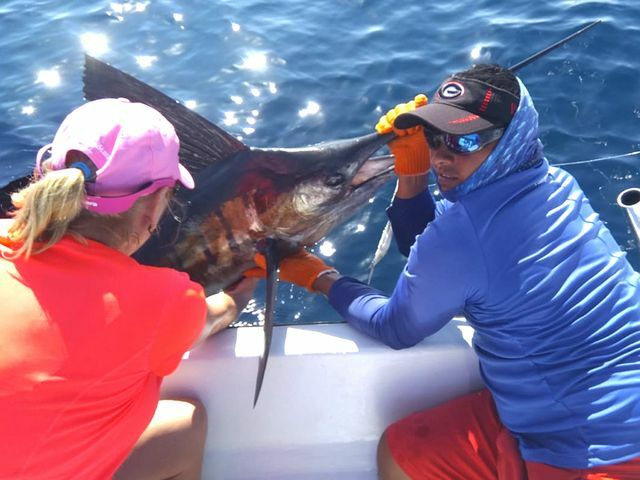 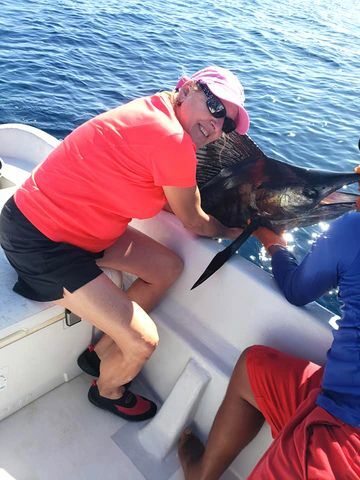 A nice Pacific Sailfish by Diane Turner completed the Grand Slam. 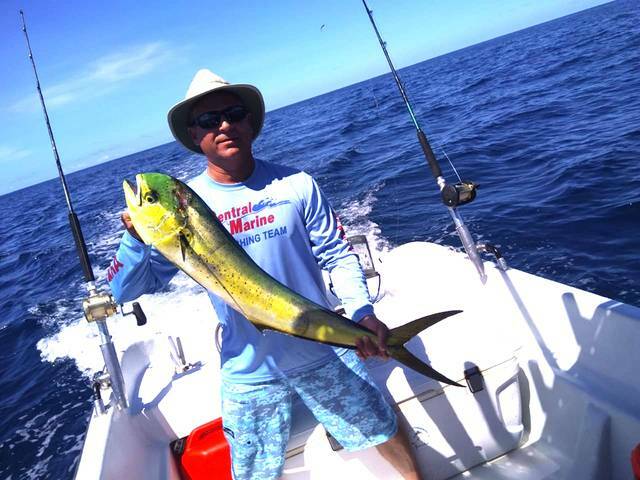 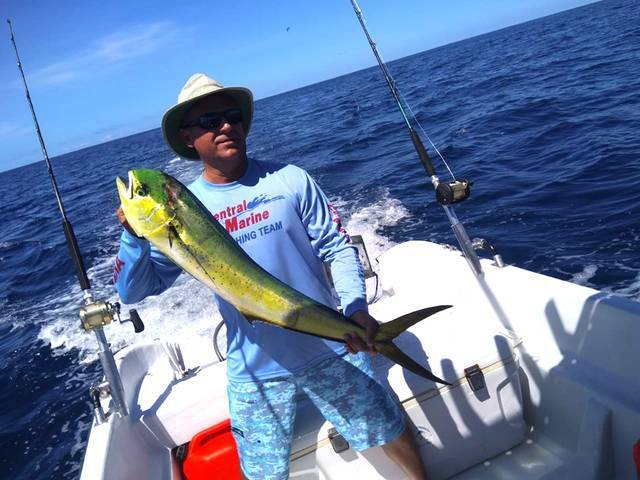 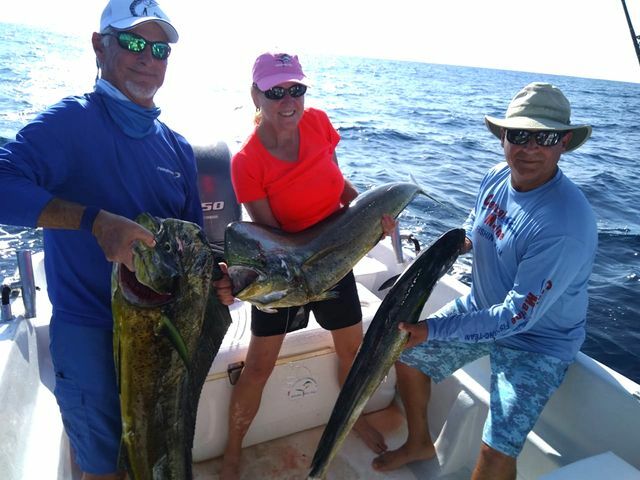 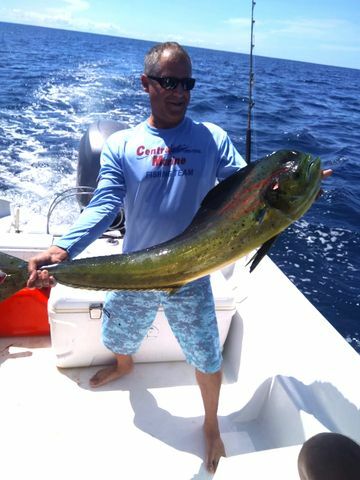 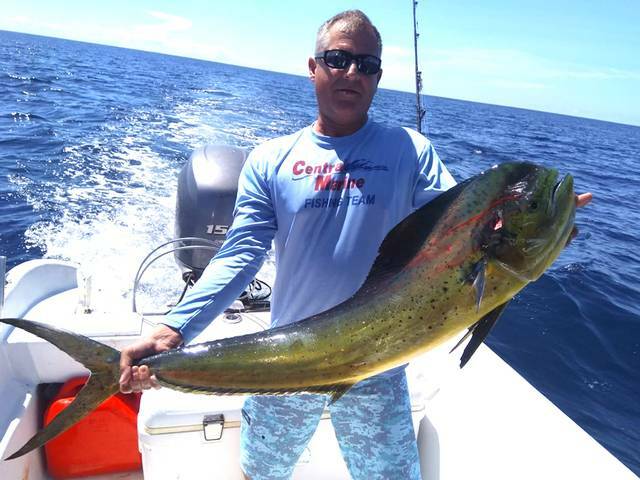 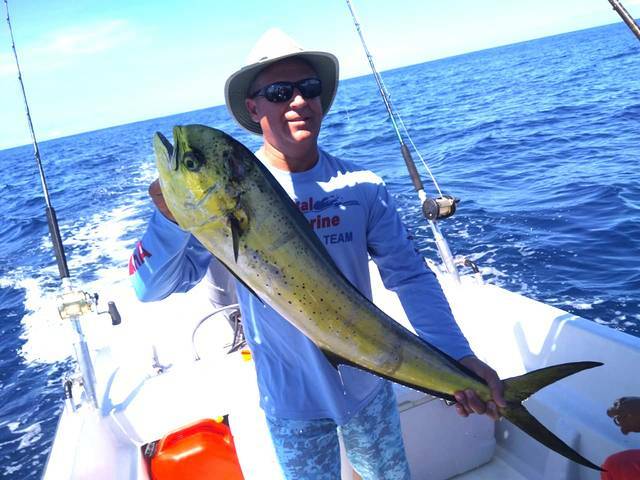 They didn’t go home empty-handed, thanks to five nice Dorado catches spread throughout the day. 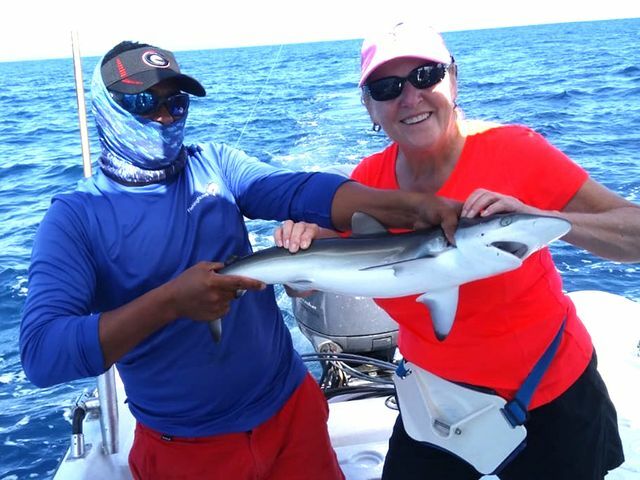 Even a small shark came up for a photo before being released. 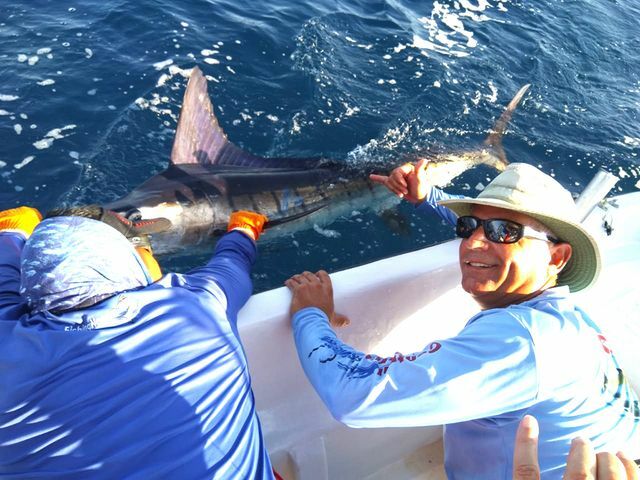 Fantastic work by ‘El Brujo’ Captain Fico and the unstoppable Explorer!